Are you a candidate for Bioidentical Hormone Replacement Therapy? Women in their 40s and 50s experience drastic changes in hormonal function that can result in a precipitous loss of physical, mental and emotional health. This is not ‘all in your head’ (as many of us have been told); it is a fact, and it has not been adequately addressed by the medical establishment, which is happens to be disproportionately male. I’m here to tell you that after years of severely incapacitating hormonal imbalance, I’m back! I have regained my health and life, and so can you—through a new and superior form of hormone replacement, bioidentical estradiol and testosterone pellets inserted under the skin. I’m an Obstetrician/Gynecologist in practice for 25 years. I’ve written this book for all women who have experienced the drastic and debilitating effects of hormonal imbalance related to menopause, but have not received help through conventional treatments. I was one of those women. For 25 years I considered it my calling to take care of my patients in private practice, dispensing preventative care, delivering babies and operating on patients in need of my surgical expertise. At the age of 40, however, the symptoms of hormonal imbalance began to drastically affect my health and my ability to continue my life’s work. My personality and energy seemed to have drained away. I lost the ability to enjoy deep, restful sleep. I developed insomnia, which led to impaired stamina, chronic fatigue and difficulty thinking clearly—something that is crucial to my ability to care for my patients. I had been listening for years to my patients’ similar complaints as they approached menopause and asked, ‘What is wrong with me! ?’ Until a few years ago I did not know the answer, and had to tell them so. Now I was asking the same question, and in my need for answers I sought medical care from doctors I respect. They told me I was ‘old’ at 47. I tried conventional hormone treatment without success, and continued to struggle. My lowest point came after a hysterectomy and the loss of my ovaries. I no longer recognized myself when I looked in the mirror. I felt depressed, hopeless and helpless. It took all my strength to fulfill my responsibilities as a physician, and my role as wife and mother. In short, I was losing my professional and personal identity. I continued to research the problem of hormonal imbalance and concluded that conventional medicine had failed to comprehensively tackle this issue so crucial to women. Finally, I was forced to face the devastating possibility that I would have to reduce my commitments or perhaps resign my practice altogether. It was with this somber awareness that I was at the hospital one day preparing for a patient’s delivery, when help came to me, in the form of a labor and delivery nurse who knew of my interest in hormone therapies. She asked if I would be open to a new form of hormone treatment. Her brother was an Ob-Gyn in California and wanted to train a doctor in St. Louis to provide perimenopausal and menopausal women with a better treatment. I was headed into a C-section, but I could not stop thinking about this. I soon contacted the nurses brother, and our association began. He became my mentor, not only teaching me how to treat women in distress, but also treating me. I was feeling like my old self just 24 hours after the insertion of natural bio-identical estradiol and testosterone pellets! 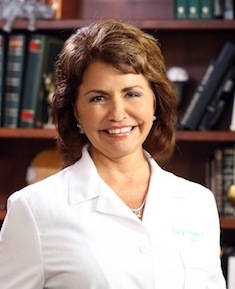 This doctor trained me to do what he was doing and I have now embraced a new calling—helping other women become whole again through the use of this superior form of hormone replacement. This has led me to form a new practice, which I call BioBalance Health, and is why I’ve written this book—so as to reach many more women than I could hope to treat solely through my practice in St. Louis. The ‘secret ingredient’ in this therapy is testosterone, which is not normally included in traditional hormone replacement. The male-dominated medical profession and the FDA have resisted the use of testosterone for women because of antiquated ideas about female sexuality. Money is another factor standing in the way of this treatment being widely offered to women, because of the method of delivery (subcutaneous pellets). Patented synthetic testosterones are taken orally and have severe side effects. However, if a hormone replacement cannot be patented, it is not profitable and money is not provided for research. The pellets I use in my treatment contain natural hormones which cannot be patented; therefore, no drug company will be able to make money from the production of this form of hormone replacement. It is not a great surprise, then, that the FDA, which is constantly under pressure from pharmaceutical companies to make decisions that are financially advantageous to them, has not approved this type of hormone therapy for women (whereas it is approved for men!). Mainstream medicine has not addressed hormone imbalance until relatively recently, as female doctors have finally entered the field of gynecology. Business and medicine are still mostly run by men, and the vast majority of the teaching physicians who have trained the present generation of doctors are men who believe our symptoms are in our heads. Companies owned and run by men spend research dollars on their own diseases, which is why business does not presently pay for this treatment through insurance or the research of bio-identical hormones – it does not obviously benefit men, as erectile dysfunction drugs do. However, I believe men would advocate the use of funds to research bio-identical hormones if they realized how much pain, money and sexual frustration it would save them by helping their wives become healthy. My goal in writing this book is to provide you with the knowledge you need to make an informed decision about hormone replacement, a decision that is of vital consequence to every woman’s health in our later years. We’ll start out with a basic overview of our hormonal system and the changes that naturally accompany aging, followed by a discussion of the symptoms of hormonal imbalance. Next we will look at the history of hormone replacement therapy (including the controversial findings of the 2002 study that frightened so many women into stopping hormone replacement) and talk about the crucial differences between bio-identical pellets and traditional forms of HRT. We’ll then revisit the symptoms of hormonal imbalance to discuss the range of results that can be expected using the various treatment options available. This will help you determine if hormone replacement with bio-identical estradiol and testosterone pellets is a treatment you might benefit from and would like to look into further. I’ll walk you through the simple procedure for this treatment, and we will frankly discuss the risks involved and look at certain diagnoses that might be improved with, or, that contraindicate hormone replacement. We’ve provided an FAQ and glossary of terms, as well as a virtual consultation form like the one used by my patients, which you can fill out and take to your own physician, or mail to our offices at BioBalance Health in St. Louis.